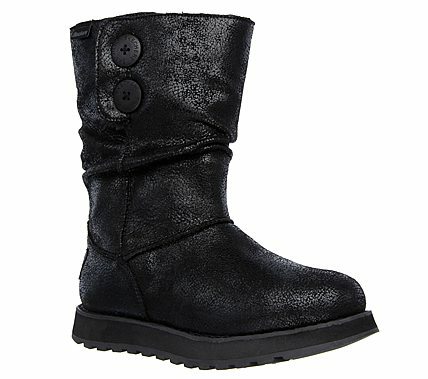 Smooth out your style in chilly weather with the SKECHERS Keepsakes - Leatheresque boot. Smooth microfiber fabric upper with distressed leather-look finish in a slip on mid calf casual cool weather slouch boot with stitching and button detail. Memory Foam insole.